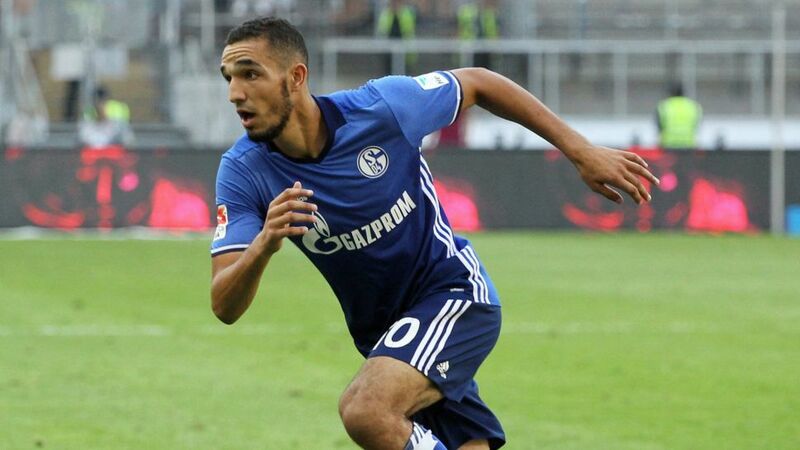 Nabil Bentaleb can barely contain himself at the thought of playing at FC Schalke 04's VELTINS Arena for the first time. The Tottenham Hotspur FC loanee made his Bundesliga debut as a substitute in the 1-0 defeat to Eintracht Frankfurt a fortnight ago, but could make his first start when defending champions FC Bayern München come to town to contest Matchday 2's opening fixture on Friday night (kick-off: 20:30CEST/18:30GMT). Sign Bentaleb up to your Official Fantasy Bundesliga squad in time for Matchday 2! "I'm really excited to play at the VELTINS Arena," Bentaleb told club website www.schalke04.de. "I have already heard about the fantastic atmosphere in the stadium and I am looking forward to experiencing it for myself. I have already been enchanted by the fans in the game in Frankfurt - the support was incredible." Fueled by the Schalke fans' unwavering support and riding the crest of a wave after helping Algeria reach the 2017 Africa Nations Cup during the international break, Bentaleb is now looking to channel all of his positive energy into the much-anticipated visit of Carlo Ancelotti's Bayern. "Although I have not been in Germany long, I know all about the huge quality Bayern have in their team," the 21-year-old explained. "They'll be a tough nut to crack, but I have no fear. I'm not the best at describing myself, but one thing I will say is that I never give up: I give absolutely everything from the first minute to the last and I hate to lose games." That much was clear in Bentaleb's 16-minute cameo in Frankfurt. The France-born midfielder fought tooth and nail in the engine room in a bid to help Schalke overturn the 1-0 deficit, providing an early indication of what he will bring to the revamped Royal Blues in the season ahead. "Everything he did [against Frankfurt] was spot-on," new Schalke sporting director Christian Heidel said in a recent interview. "We want to play Gegenpressing and Nabil Bentaleb is a perfect fit for our system. He just can't stand it when the opponent is in possession of the ball." The statistics dictate that Bayern's pass masters will enjoy the lion's share of possession on Matchday 2, but that does not mean Schalke will spend the game chasing shadows. Die Knappen's very own cat to throw among the swarms of visiting pigeons, Bentaleb simply will not allow it.